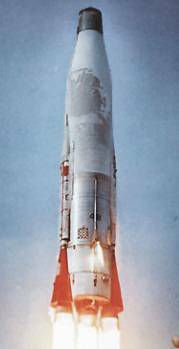 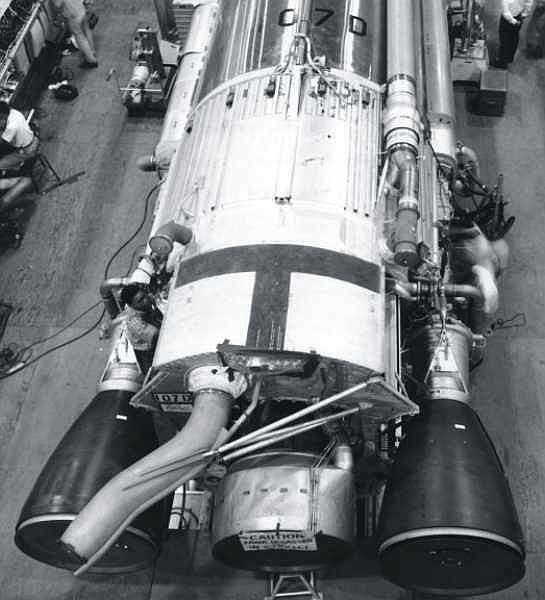 Unwilling to take the risk of building a multistage missile that might later prove unworkable, Convair built the Atlas rocket around its unique "stage-and-a-half" propulsion system. 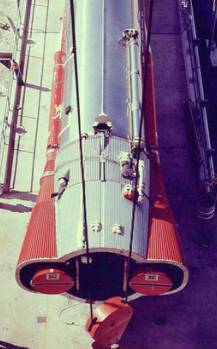 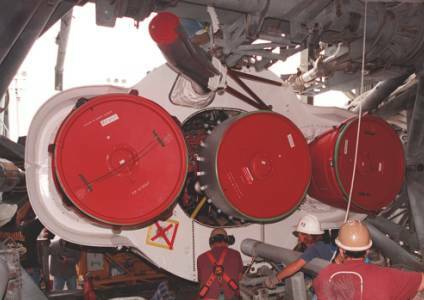 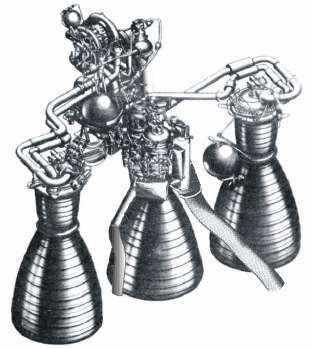 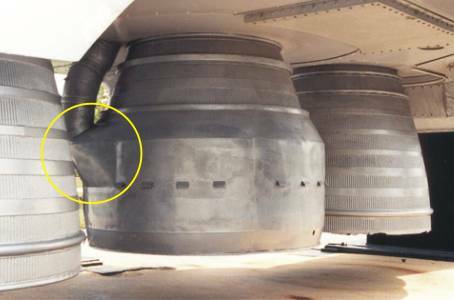 This "stage-and-a-half" propulsion system in which three engines – two boosters and a sustainer engine – are fed by the same liquid oxygen/RP-1 (kerosine mixture) propellant tanks and all ignited at liftoff. 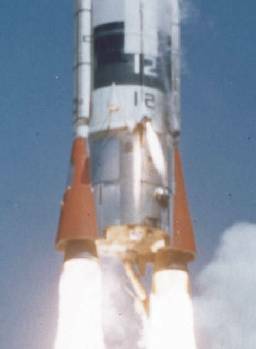 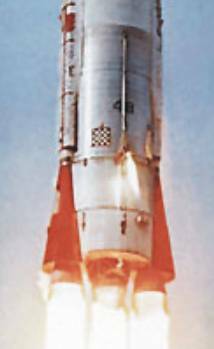 During the first few minutes of flight, the boosters shut down and fall away (to save weight), while the sustainer continues burning. 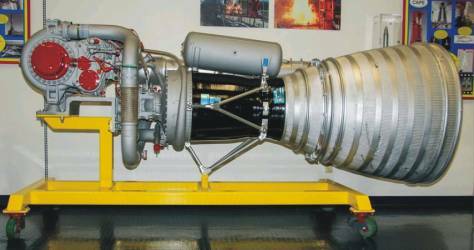 MA-1: Both engines are powered centrally by one set of turbo pumps with gas generator. 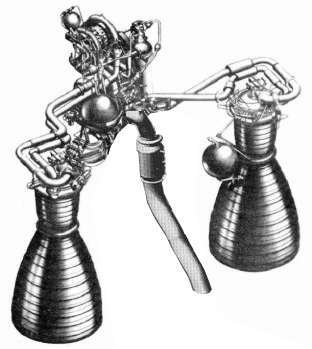 MA-2: Both engines are powered by own set of turbopumps. 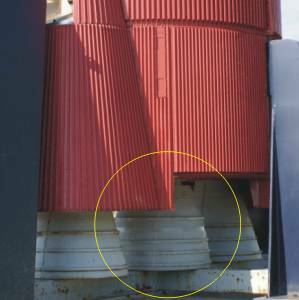 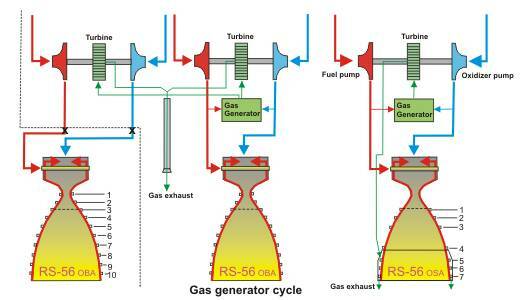 All turbo pumps are driven by a single gas generator, which are located at one of the engines. 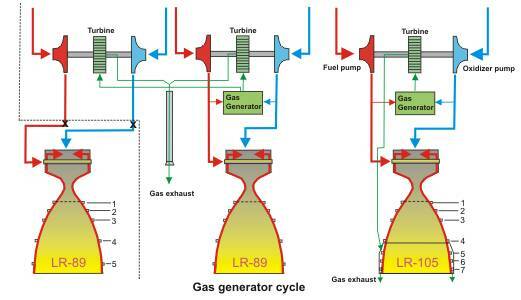 MA-3: Both engines are powered by own set of turbo pumps and gas generator. 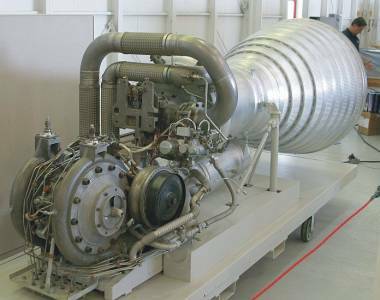 MA-5: Both engines are powered by two sets of turbo pumps with a common gas generator. 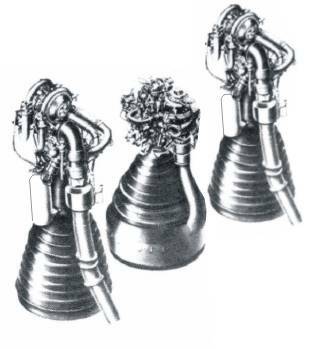 All turbo pumps are arranged at one of the engines. 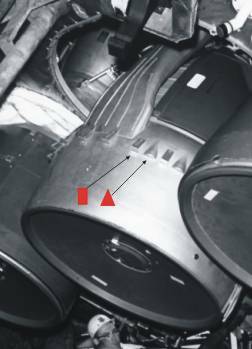 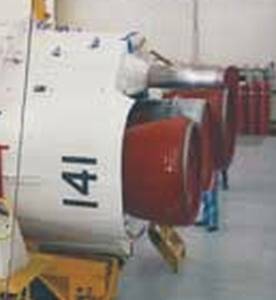 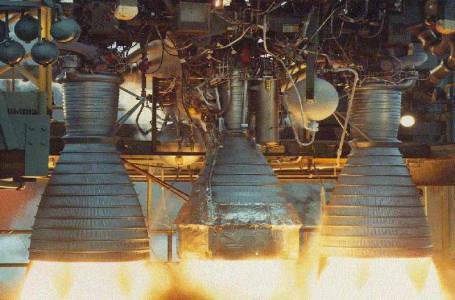 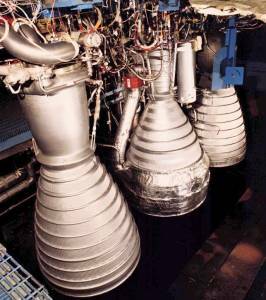 MA-5A: Both engines (new RS-27 combustor) are powered by two sets of turbo pumps with a common gas generator. 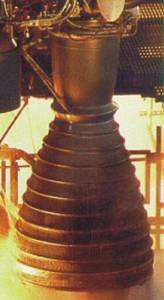 All turbo pumps are arranged at one of the engines. 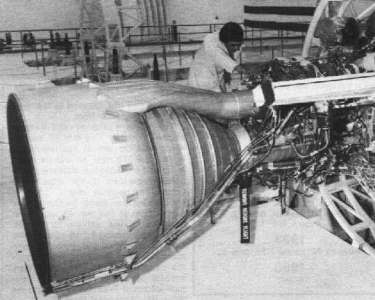 A new development was the central engine LR-105 (Sustainer). 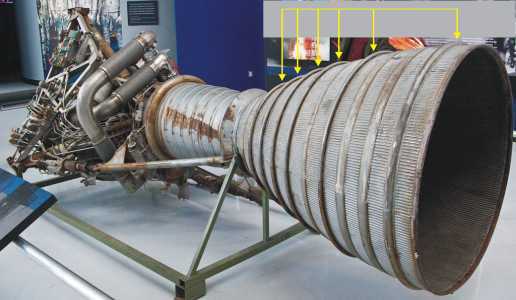 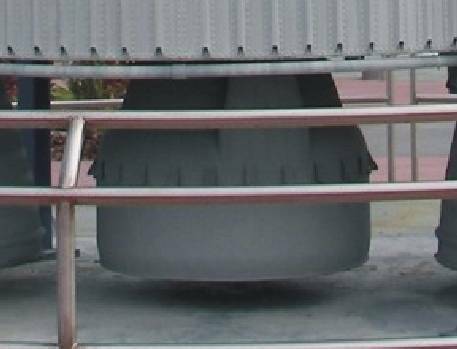 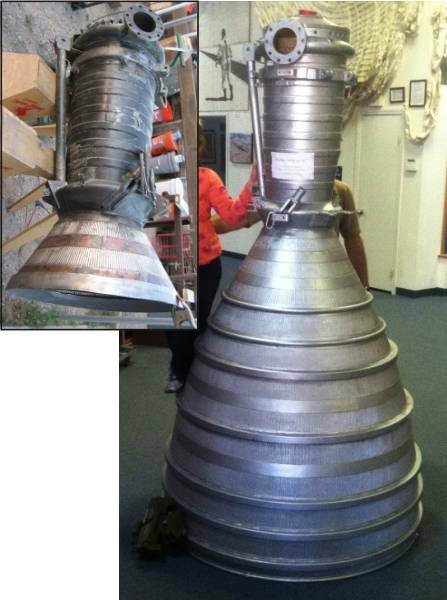 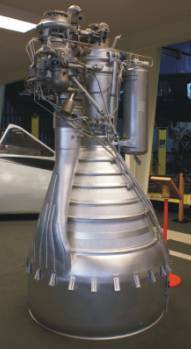 The thrust was lower, but it was the first engine, which was specifically designed to operate in a vacuum. 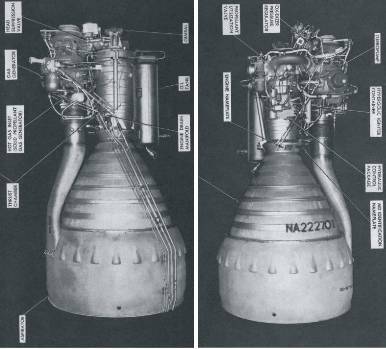 It had a higher outflow velocity than the two booster engines. 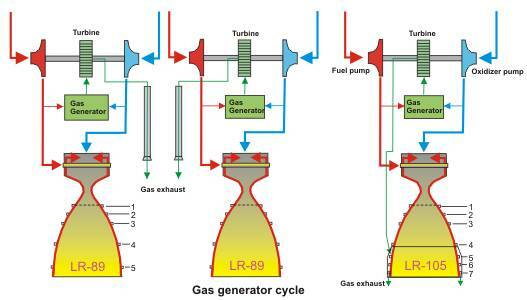 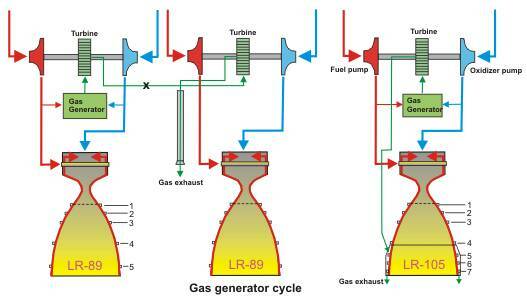 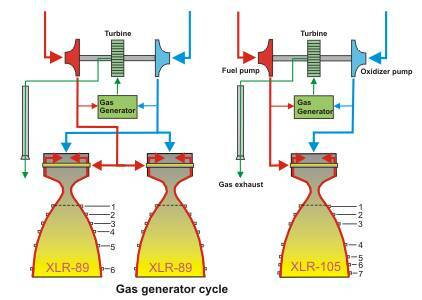 The gas turbine with its own gas generator operates at a high rotational speed of 10,800 rev / min (Booster only 6.300 U / min). 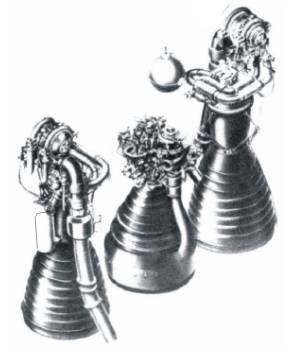 The central engine could be swung on gimbals in two axes by 3 degrees. 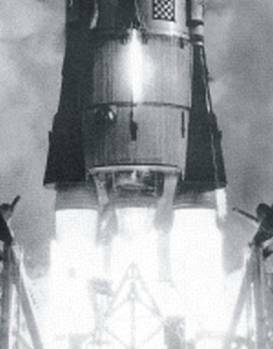 The burning time of the LR-105 varied depending of the time of dropping the booster engines. 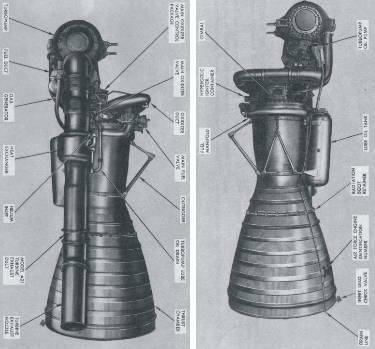 The variants of the MA drive system and their use. 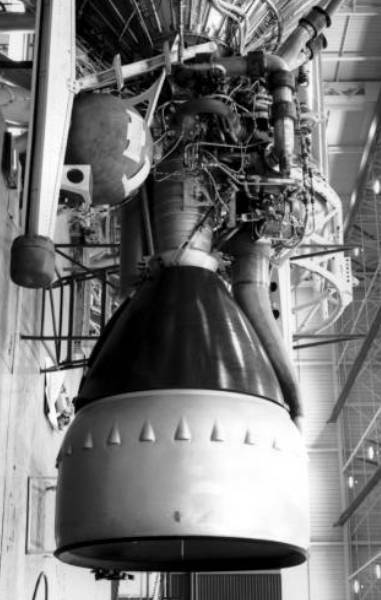 The Convair SM-65A was the first testbed and was developed into the Atlas-A. 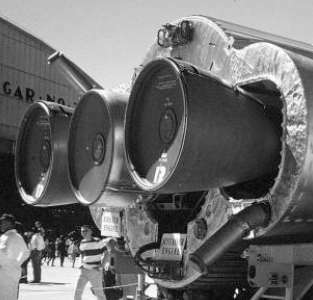 The Atlas-A flights were powered by a single engine consisting of two thrust chambers XLR-89 fed by a single set of turbopumps. 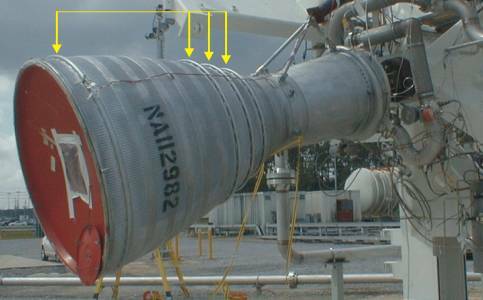 The central sustainer engine XLR-105 still missing. The Convair SM-65B was the second, more advanced testbed for the Atlas rocket program. 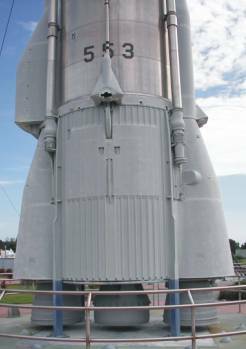 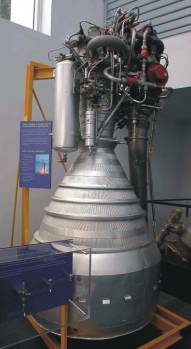 It was designed with 2 engines, the booster engine XLR-89 used on the predecessor SM-65A plus a sustainer engine XLR-105. 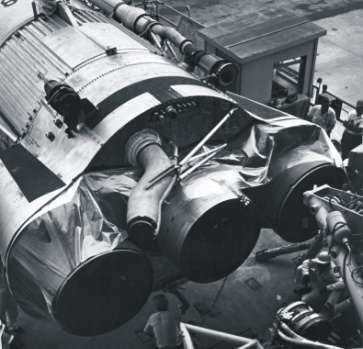 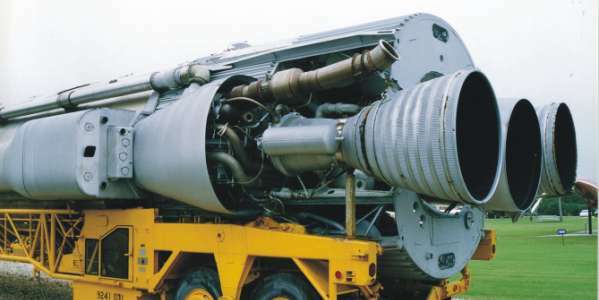 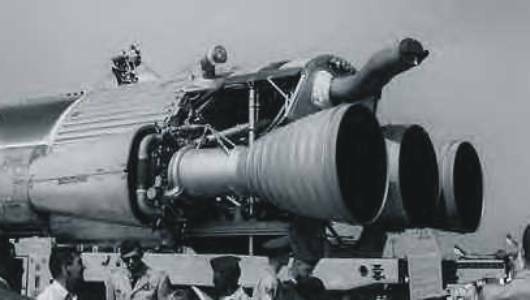 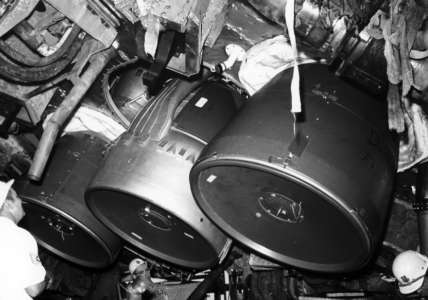 This combination of booster plus sustainer engines was designated the MA-1 engine system. 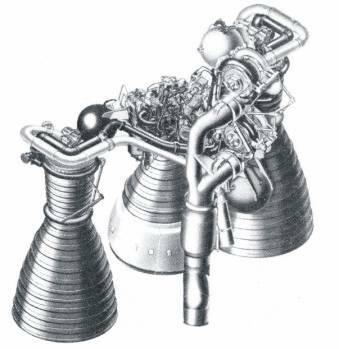 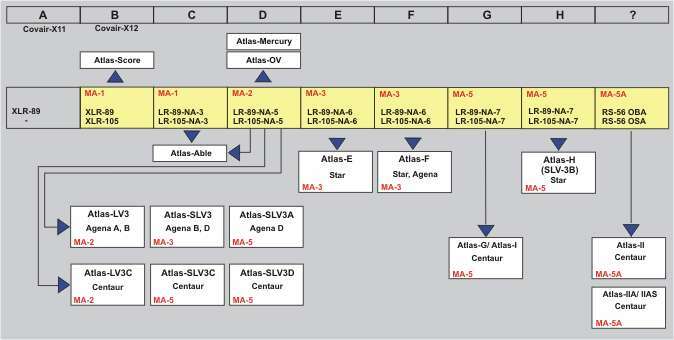 MA-1 was used in Atlas-B and first series of Atlas-C.